(JTA) — The White House blamed a clerical error for a statement issued late Monday that said Iran currently “has” a secret nuclear program. 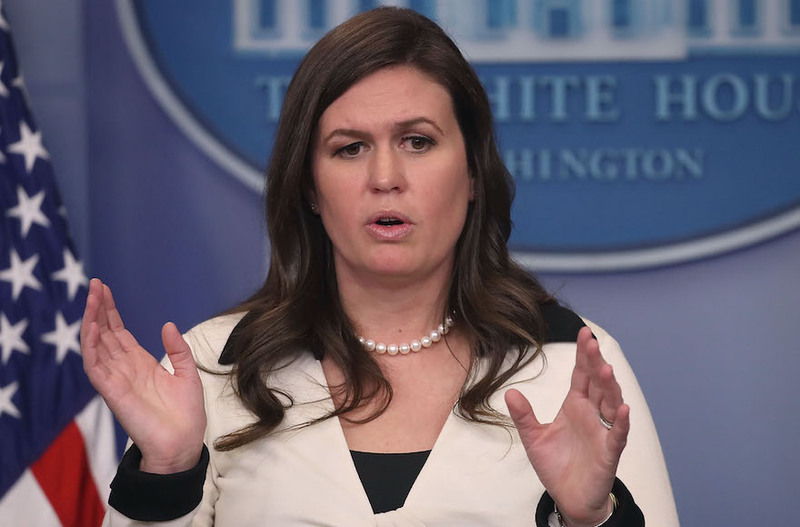 “Iran has a robust, clandestine nuclear weapons program that it has tried and failed to hide from the world and from its own people,” read the original statement issued under the name of White House press secretary Sarah Huckabee Sanders. It appeared to contradict findings by international inspectors who have found Iran to be in compliance with the nuclear deal signed in 2015. The White House statement was a response to Monday’s presentation by Israeli Prime Minister Benjamin Netanyahu, who presented documents accusing the Iranian government of lying about its nuclear ambitions during the period preceding the signing of the nuclear deal with the U.S. and other nations. Netanyahu is a fierce opponent of the nuclear deal, and the timing of his presentation was seen as an effort to strengthen President Donald Trump’s case for scrapping the deal, which trades sanctions relief for curbs on Iran’s nuclear program. On Tuesday, Sanders seemed to echo many of the points made by Netanyahu. Trump has said he will decide by May 12 whether the United States will remain part of the deal known formally as the Joint Comprehensive Plan of Action.